TropRock, country party music, or the staccato of surfer guitar, summer is celebrated in nearly everyway musically imaginable. Let’s make some summertime music together! Come on out to the WillisMusic Open Mic Night – Wednesday, June 20 th from 6-8 PM. It is in thestudio/stage area which is immediately to the left as you walk through the door. 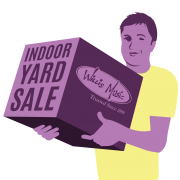 Don’t forget, if you need new strings, bongos or a tambourine to accompany the party, a beginner’s steel drum for an island vibe, a new microphone or anything thing else musically, Willis has what you need. Come on out, tune up, warm up your vocal cords and picking fingers and we’ll make some music on Wednesday, June 20 th from 6pm to 8pm. See you there!!! Every November in Lexington, KY is full of color! The foilage on trees change to orange and red. Every now and then some white snow finds its’ way to the ground. You’ll also find UK blue throughout the city as the football season is in full steam, and basketball season beings! It’s a beautiful time of the year to be in Lexington indeed! 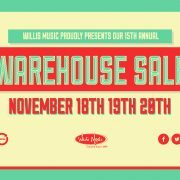 Every day at Willis Music in November is full of color as well! We just added new guitars and drums! We rearranged those sections so that you’ll see something you’ve never seen before on your next visit. New pianos just arrived! 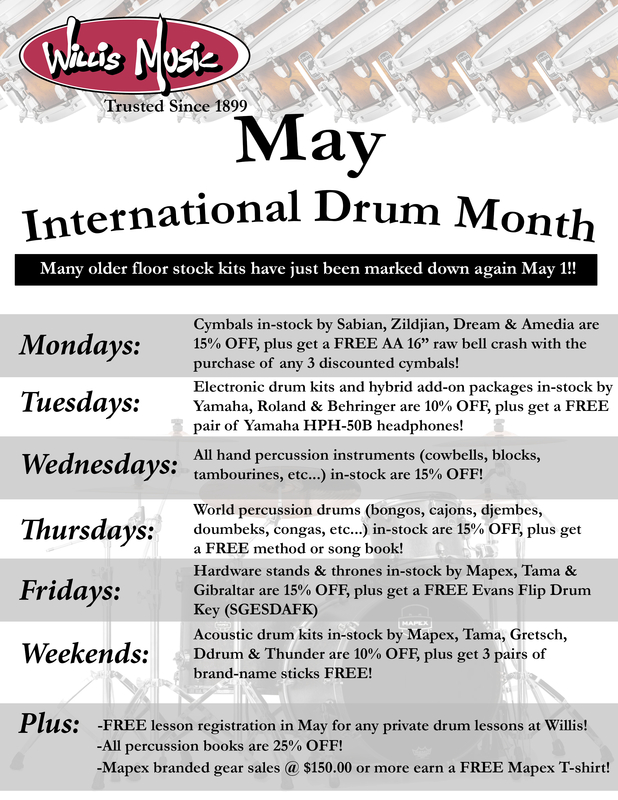 This month also brings about the single best day to purchase a Step-Up Band & Orchestra instrument. 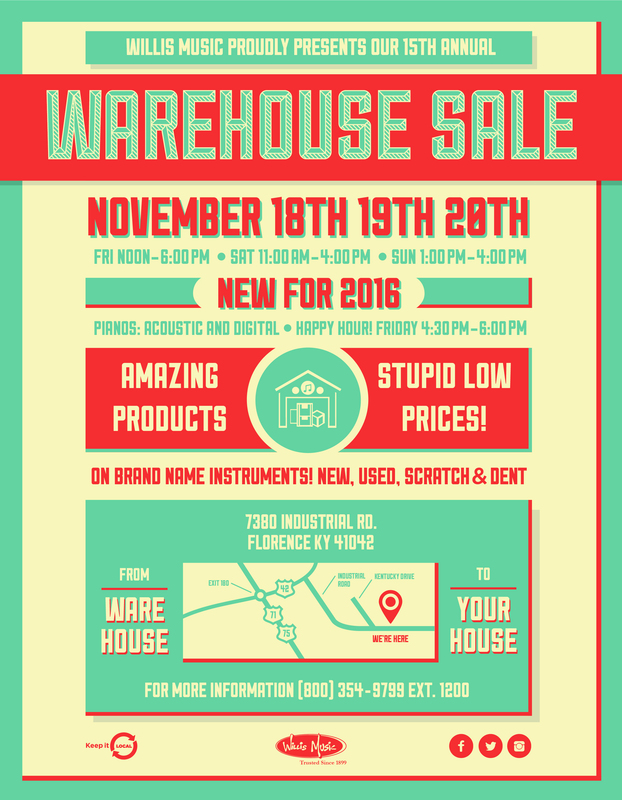 Plus the annual Willis Music Warehouse Sale! The Lexington Experience is unique at Willis Music! Come try a new instrument! Visit with our experts on staff! 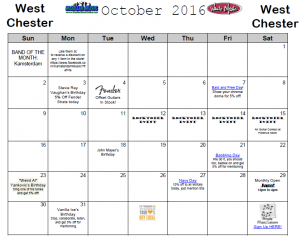 Click on the calendar below to see all the colors of our November calendar! Fall has arrived in Lexington, KY and the experiences taking place at our Lexington store in October are just as fantastic as a day of racing at Keeneland! A Yamaha Music Production Workshop on October 16 featuring the Montage 8 made by Yamaha! 3 Hamiltunes LEX gatherings on the First Friday, Third Tuesday, and a special Kids sing-a-long on October 7. A one day only discount to celebrate 10-4 Day with 10% off a purchase of four items or more. A Last Chance Sale Event on all scratch & dent items in the store from October 19-22. Our monthly Worship Musician Night continues on the Second Tuesday at 6:30pm. Come see the Disklavier In-Concert Performance featuring Sir Elton John this month! 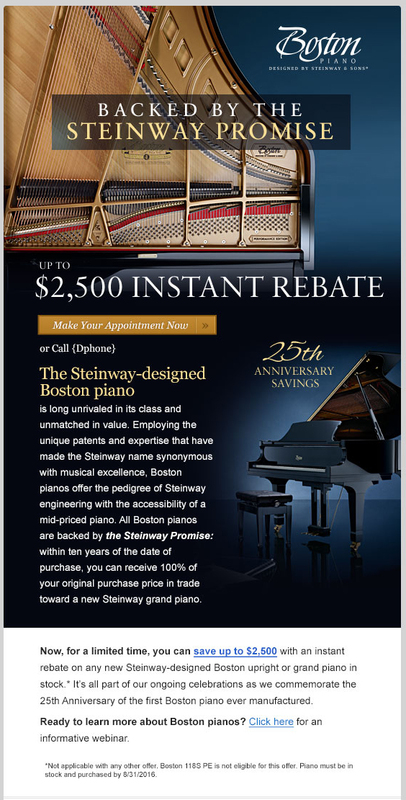 For the entire month we are offering a special Piano Trade-Up event for owners of Yamaha P Series keyboards! Don’t miss out on our Creepy Composers sale from October 23-31. 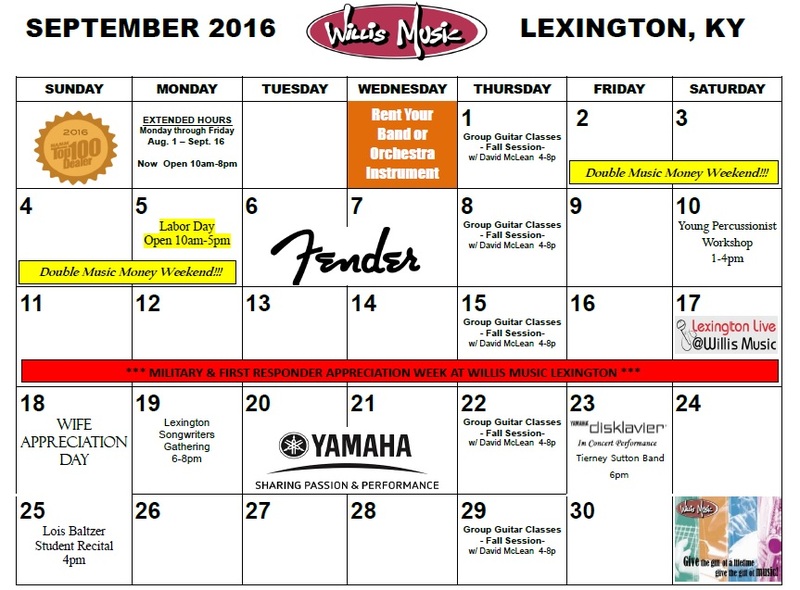 This September our Lexington location is busy with many fun-filled events! Click on the calendar below to see a larger version. HamiltunesLEX begins in September! We are hosting this sing-a-long event licensed by the creators of Hamilton: The Musical! Come to our recital hall on the First Friday & Third Tuesdays each month for your chance to sing & rap along with the most popular musical in the world! 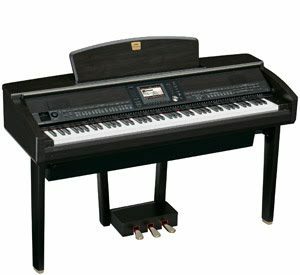 We will be featuring the Yamaha Clavinova, DBR Speakers, and TF Mixing Consoles for all HamiltunesLEX sing-a-long events! 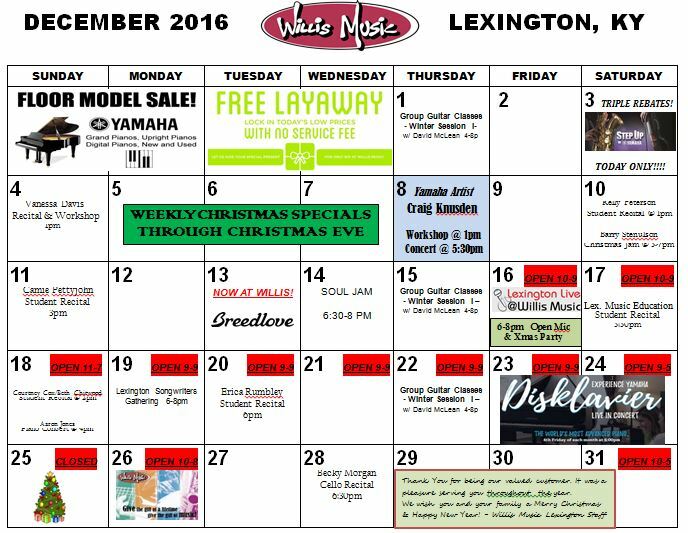 It’s a busy month for pianists, piano teachers, and piano enthusiasts at our Lexington location! In fact, we’ve moved all our digital pianos right by the front door to celebrate!! On September 5 we are hosing a Piano Workshop titled “Teaching with Technology” which will be presented by Lori Frazier of Yamaha. In addition to 2 piano student recitals this month, we will also host back-to-back performances by Jamie Cullum at our Disklavier In-Concert performances on September 22 & 23. Finally, we are celebrating National Piano Month with a sale event September 14-17 on all new & used acoustic pianos, Clavinovas, Yamaha hybrid pianos, stage pianos, synthesizers, and keyboards! 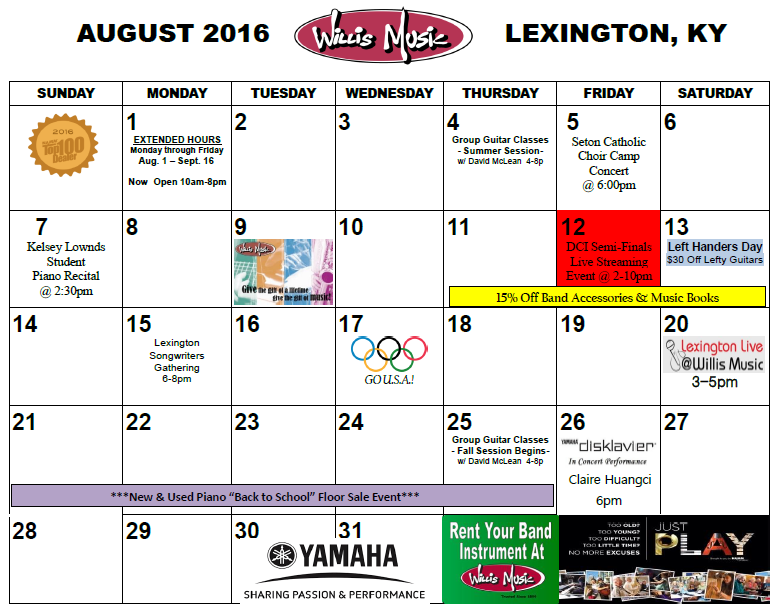 It’s Back to School month at Willis Music in Lexington, KY!! August is one of our favorite months of the year – just click on the calendar below to see why! We are extending our hours beginning August 14, by opening at 10am Monday-Friday for a few weeks. If you are looking to rent a band or orchestra instrument, we are ready and at your service! August 12: Guitar & Drumset Blowout Sale: Save $$$ on all guitars & drumsets, including at extra 10% on items already on sale at the lowest prices in Lexington! September 1: We host the premiere of Hamiltunes LEX, a sing-a-long celebration of the Hamilton musical featuring the Yamaha Clavinovas, and our pro-quality sound system of products. 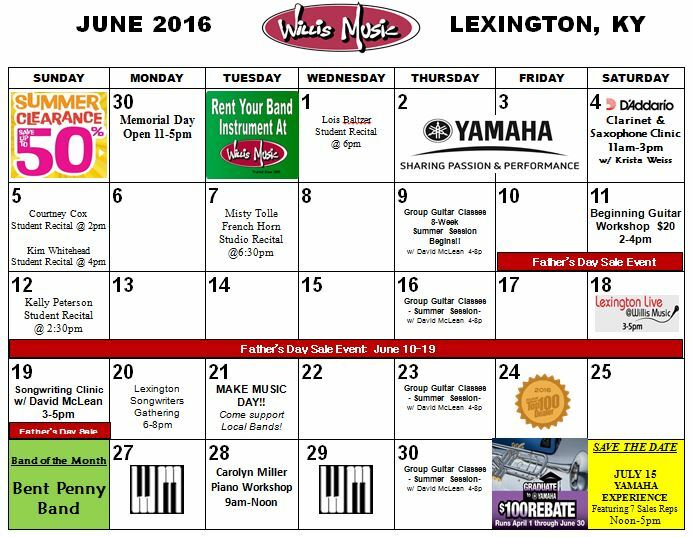 July is an exciting month at the Lexington, KY location of Willis Music! For YOU we will have multiple sale events! These will be two of the best opportunities of 2017 for you to save money! July 1-16 we are having a huge amplifier blowout sale! As many as 12 new guitar amplifiers from Blackstar, Fender, and Peavey – for a limited time will have a lower price than what you will find in any other store or even online! 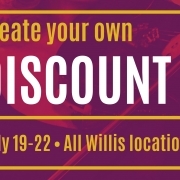 July 20-23 is our annual Create Your Own Discount sale! You can save up to 20% on an item during this 4 day event! Our 2nd ever Church Musician Day. This monthly event (second Tuesdays) provides not only good deals, but an opportunity for networking and a jam session! Mark your calendars for July 11! Twice during July we will host our regular Yamaha Disklavier In-Concert Performance. You will want to come check out one of these dates: July 8 will be Shades of Sinatra & July 28 will be a performance by John Prouix. July 22 will be our second (of three) Drum Corps International (DCI) live streaming events for the summer. 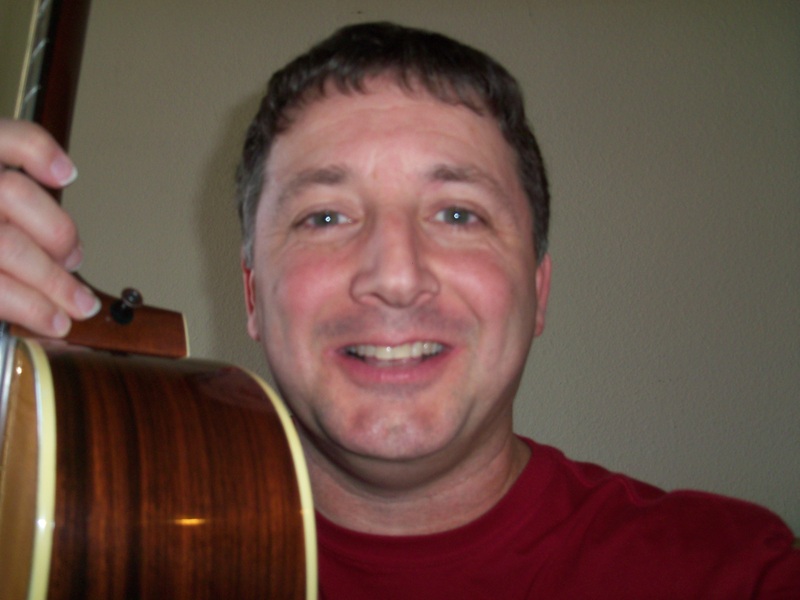 July 29 we will host both an Ukulele Workshop & Songwriting Workshop with David McLean. July 1st – International Joke Day – 5% off if you come in and tell us a joke. July 2nd – I Forgot Day – What? Huh? Squirell!!! July 4th – Independence Day – Store open from 11am to 4 pm. July 6th – Bill Haley’s Birthday – Rock around the clock and take 5% off of Hollow Body guitars. July 13th – Open Mic/Jam! Come one come all! 5 to 8 pm. July 13th – Embrace Your Geekness Day – Channel your inner Erkel and get those pocket protectors out, show us yours for 5% off. July 13th through 15th – National Association of Musical Merchants (NAMM) Show in Nashville. 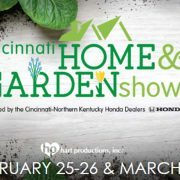 Our buyers and some of our crew will be there checking out all the new products. Watch Facebook for live updates and pics! July 19th – Stick Out Your Tongue Day1 – 5% off if you do! July 31st – Uncommon Musical Instrument Day – Dust off that hurdy gurdy or any weird instrument and bring it in to show us and get 5% off. 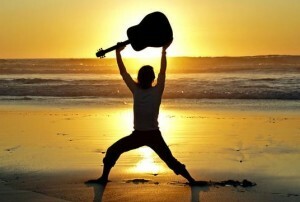 April is International Guitar Month – Adopt a Homeless Guitar Here! April 29th – Open Jam – 12 to 4 – Come Jam with Us! Don’t let the winter weather slow you down this month! We are excited to come to work each day in February to serve YOU in all your musical needs. 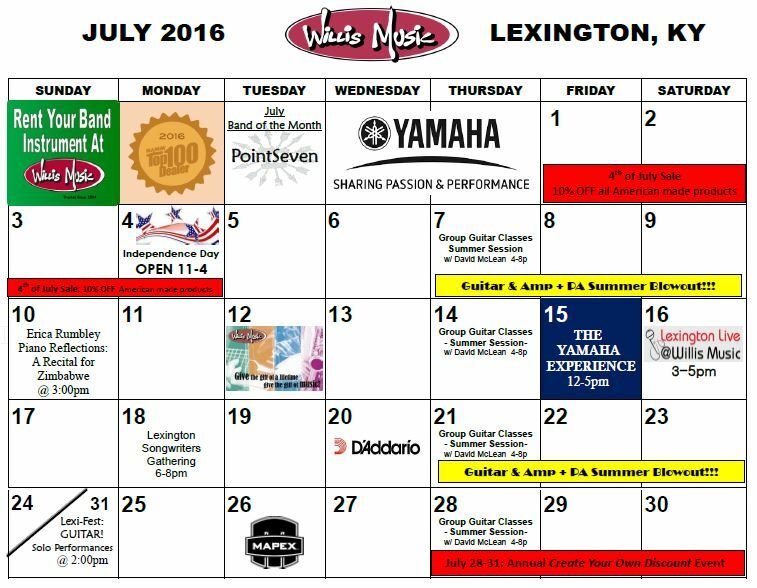 Come enjoy “The Yamaha Experience” at our Lexington location! Did you know there is an app out there for certain digital pianos, for electronic drumkits, and for guitar amplifiers? Explore the amazing possibilities these apps create at our Yamaha App Corner in Lexington! February always brings out one of our biggest sale events of the year! Don’t miss the annual Willis Music Penny Sale, February 23-26! There will be over twenty deals when purchasing one item, you get another item for only a penny! Could you ever imagine getting an guitar clip-on tuner for only $0.01? What about purchasing an ukulele for $0.01?! Even better, how about a Powerwerks speaker for $0.01!! You will find those deals and much more during our Penny Sale event. Two events you’ll want to add to your personal calendars in February include the GUITAR WORKSHOP with Alan Robinson, on Saturday, February 11 at 4 p.m. This workshop is going to be great for any level of musicianship! In fact, we promise you that its not even necessary that you play guitar in order to attend this free workshop. Learn how to solo over different chord progressions, and gain a few tricks in how to create your own melodies! Our monthly Disklavier concert on the 4th Friday takes place on February 24 at 6 p.m. Attend a live piano concert, in an intimate setting, with tons of technology making it all happen! It’s a beautiful evening you’ll be happy to experience! January 2-10 we will be showcasing the best products of 2016. Not only will we feature the best selling products from our store, but we also will display the winning product lines of the MMR Dealers Choice Awards for 2016! January 19-22 while our buyers at at NAMM in California we will have a Clearance Sale Event! You can call it our “OUT WITH THE OLD & IN WITH THE NEW” Sale! There will be some amazing deals on brand new product all four days. January 27 is our monthly “4th Friday Concert” featuring a Yamaha Disklavier! 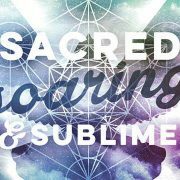 It’s an elegant experience, so bring a date and enjoy live music unlike anything you’ve seen before. Starts at 6pm in our Recital Hall. January 29 we will be celebrating at the 3rd Annual Lexington Music Awards (taking place at the Lyric Theatre) where we are nominated for the third consecutive year for Best Music Store in Lexington! 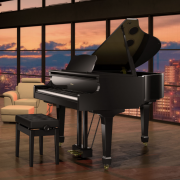 All month long we have a Yamaha Piano sale event where you get get 12 months same as cash by purchasing a new piano using Allegro Finance on approved credit! School is back in session and we are in full throttle at Willis Music in Lexington, KY! Be sure to come experience the thrills of September. It will be a fun month! Our weekday hours are extended through September 16 to better serve you. We open at 10am Monday through Friday during the first half of the month. Earn Double Music Money during Labor Day Weekend! Click here to learn more about how this works! Music Money is free money just for you! It’s also our 4 year anniversary of being at West Tiverton Way! During the middle of the month we are honoring all military and first responders with special deals throughout an entire week! Please bring your ID, and browse through our entire store wide inventory to save money this month! Be sure to check out the new Fender Paramount Acoustic Guitars coming in this month. Lexington Live, our open mic experience, continues on the 3rd Saturday or each month this fall! Our monthly Yamaha Disklavier In-Concert Performance takes place on the 4th Friday of each month. 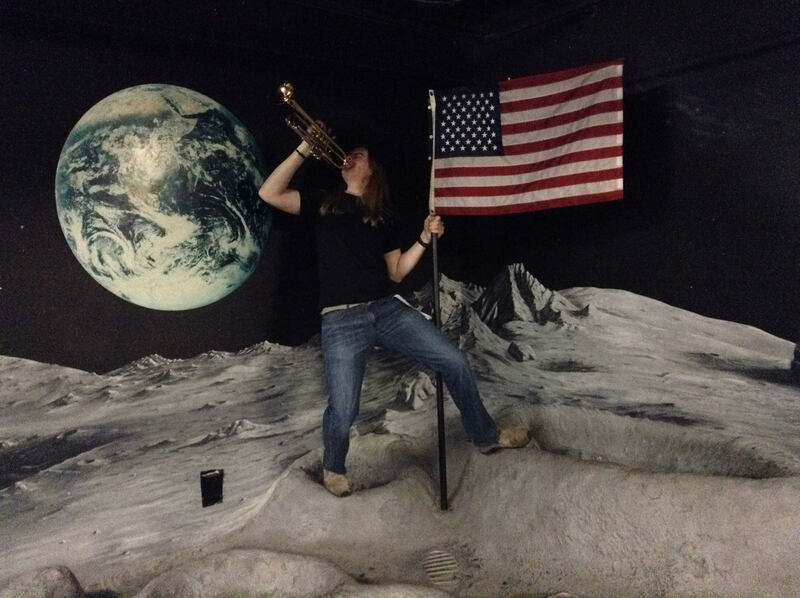 This month we will feature the Tierney Sutton Band. Click here to learn more! Willis Music was recently named by NAMM as a Top 100 Dealer for 2016! We are honored to be recognized in this way, and so this month we want to celebrate with you our customers! July 1-4: Our 4th of July Sale event this year will feature products made right here in the USA! Get 10% OFF the current price of all American made products! 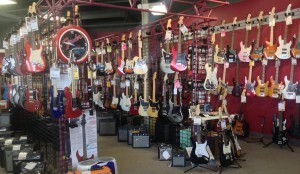 This includes Fender guitars, some of which we recently marked down for the summer. That’s an additional savings we are excited to give to you. July 7-10: It’s a summer blowout (the good kind!) on guitars, amplifiers, and pro audio equipment. Don’t miss out on first dibs for the best deals of the summer! July 15: The Yamaha Experience is the event of the year at Willis Music! You will want to be present whether you are a Music Educator or Music Enthusiast. Click here to learn more! July 21-24: We move our clearance items to the front of the store, so it’s less work for the gear to go home with you! We need to make room for new product, and we want to help you find the perfect purchase! July 28-31: Our annual MAKE YOUR OWN DEAL event is the final opportunity of the summer to find a HUGE DEAL on new or used gear! Everything in the store is on sale. The more items you buy, the better the deals! 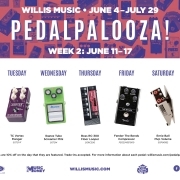 Summer has arrived in Lexington, KY. At our Willis Music location on West Tiverton Way, June is jam packed with great workshops, recitals, and sale events! Our Summer Clearance Event begins on guitars, amplifiers, percussion, and pro audio equipment. This lasts all month long. 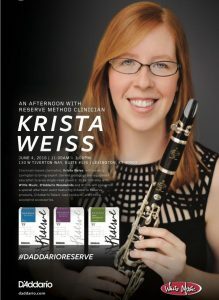 D’Addario presents a Clarinet & Saxophone clinic, featuring Krista Weiss, on Saturday, June 4. June 10-19 will be a unique Father’s Day Sale Event you won’t want to miss! Our Open Mic experience Lexington Live takes place on the third Saturday of each month! Make Music Day is June 21. It will be a fun day to visit Willis Music, and we will be featuring and publizing local bands all day long. 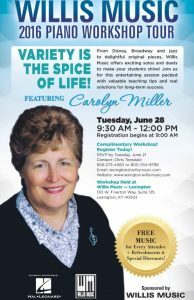 Piano Teachers will want to be present for our summer Piano Workshop featuring Carolyn Miller on June 28. 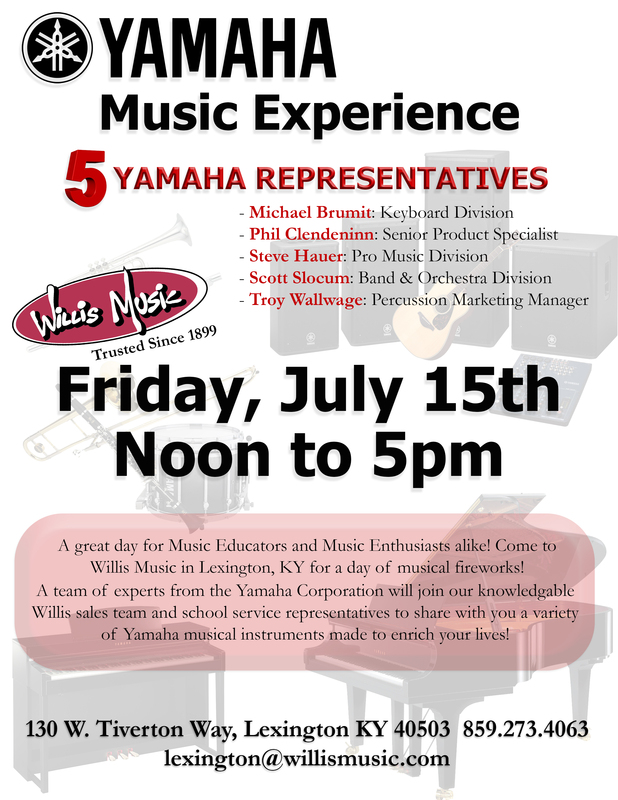 SAVE THE DATE: Mark your calendars for July 15 and join us for Lexington’s Yamaha Experience Event here at Willis Music! 7 Yamaha representatives will be presenting the best of their products in our store all afternoon. Marching & Concert Percussion, Pianos, Clavinova, Keyboards & Arrangers including the new Montage, Band & Orhestra instruments, guitars, and drums will all be featured! Do you have a beautiful Taylor guitar? Maybe you have always wanted one? Or have you had your eye on that one special Taylor? If you answered yes to any of these questions, then we have one awesome night planned for you! 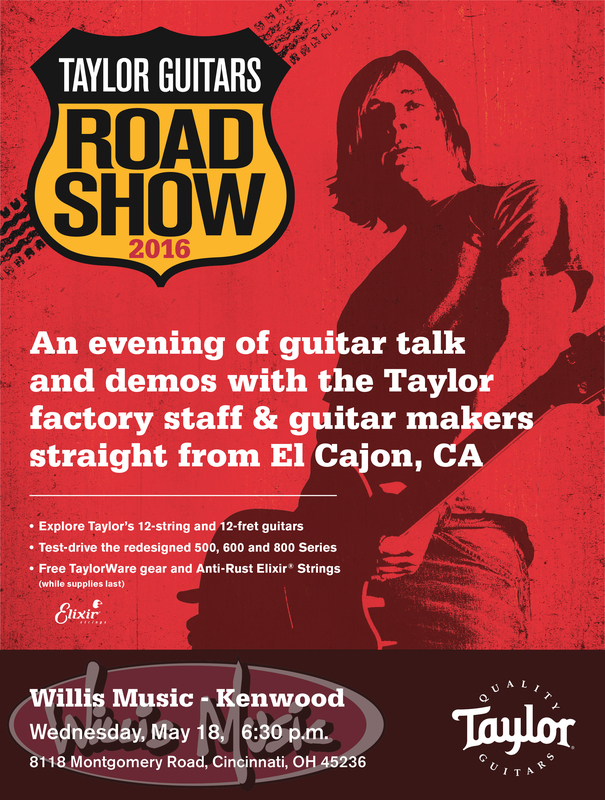 Come join us Wednesday May 18th at 6:30 p.m. for the 2016 Willis Music Taylor Roadshow for a night of guitar talk and demos with the Taylor factory staff and guitar makers. What better way to spend a Wednesday night than talking about guitars and getting to ask the people who make those little beauties questions! 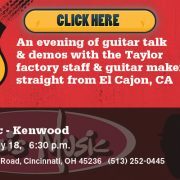 You may even get to take that Taylor you have had your eye on for a little test drive! If this sounds like something you don’t want to miss (believe us you don’t want to!) then click here to RSVP. Make sure you RSVP quickly because spots are filling up fast! Spring has arrived! Horses are about to begin galloping around race tracks, flowers & trees are blossoming, and it won’t be long before swimming pools open and school’s take their summer break! There is no break for us though! At Willis Music we thrive on serving YOU each and every day! Here at the Lexington location we’ve recently made some changes. Our guitar department has taken a new shape, and the opportunity of jamming with your buddies is a must! We are now also Kentucky’s only dealer of the full line of Yamaha Acoustic & Digital Pianos! Our showroom is stocked full and more beautiful than ever. Come see for yourself! Mondays: Ibanez Electric Guitars are electrifying the sales floor this month. SAVE 10% and get a 10′ RHINO GUITAR CABLE for FREE! Tuesday: Fender Telecasters on SALE! 10% OFF in-stock Tele’s! Plus get two free sets of D’Addario NYXL Strings! 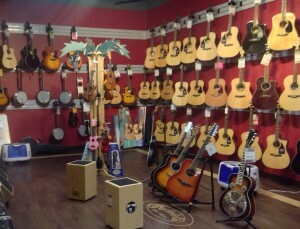 Wednesday: Acoustic Guitars by Fender, Luna, Cordoba, Yamaha, and Seagull are 10% OFF! 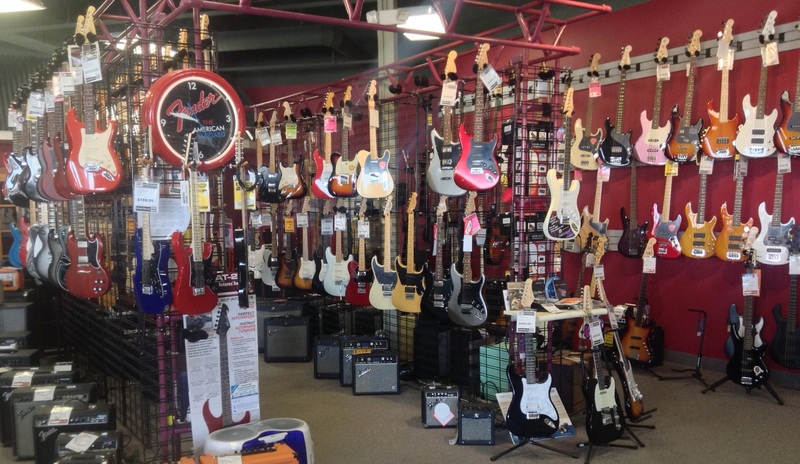 Thursday: Bass Guitars are stocked full and begging for a new home! 10% OFF PLUS A FREE STAND! 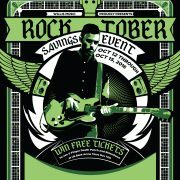 Friday: Save an EXTRA 15% on all Scratch & Dent, Discontinued, and Used Guitars! Saturday: Buy a Martin Guitar and get a FREE Strap & D’Addario Humiditrak System! Click here to learn more about this brand new product in 2016. Sunday: Fender Stratocasters are 10% OFF this day each week of April! We will throw in a FREE GIG BAG TOO! Every Day! – It’s Jazz Appreciation Month so learn a new jazz tune or two this month! All Jazz Music is on SALE just for you! Get 15% off any in-stock jazz genre music book in April! Every Thursday Evening – Group Guitar Classes meet 4-8pm with David McLean. Buy a guitar in April and get free tuition for the summer group guitar class! Saturday, April 16 -Our monthly open-mic experience called LEXINGTON LIVE is from 3-5pm. 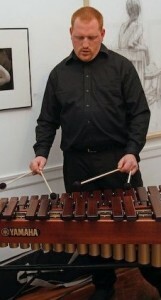 Sunday, April 17 – Local music educator Kim Whitehead holds her Student Recital from 3-4:30pm. Saturday, April 30 – Live Accordian Concert presented by the world renowned Tony Lovello at 3pm. 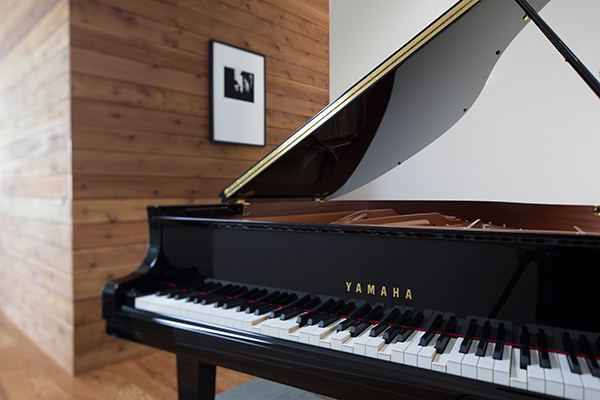 COMING SOON – You won’t want to miss our Yamaha Piano Open House Event! Date to be announced. This will be the biggest event ever at our store! Guest artists, food & drinks, clinicians, and much fanfare! Check out what’s happening at the Lexington location during March! March 12 – LEXINGTON LIVE! Our free open-mic experience. All are welcome! Coming in April……. Date TBA for our OPEN HOUSE EVENT showcasing our new Yamaha Piano Showroom! Is your child playing percussion at school? Does your child need extra pratice & tips on mallet percussion, snare drum, or auxilary percussion? Did you get a drumset for Christmas, and it’s started collecting dust? On Saturday, February 13, 2016, Willis Music in Lexington, KY will host a hour long Workshop for beginning percussionists from 4-5pm! And it’s FREE! The workshop will made given by Willis Lexington staff, Chris Teesdale and Dillon Garnett! Door prizes will be given out for all participants! 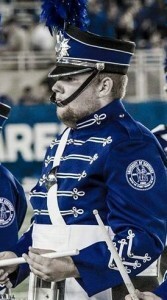 Chris is our store manager, but also a percussionist & music educator who has taught at many schools in KY.
Dillon is a part of our sales team, but also a member of the drumline and pep band at the Univ. of Kentucky! Come learn basic technique, get an introduction to different drumming styles including rudiments, and discover how to adjust/put together hardware and other parts of your drumset. That’s not all! 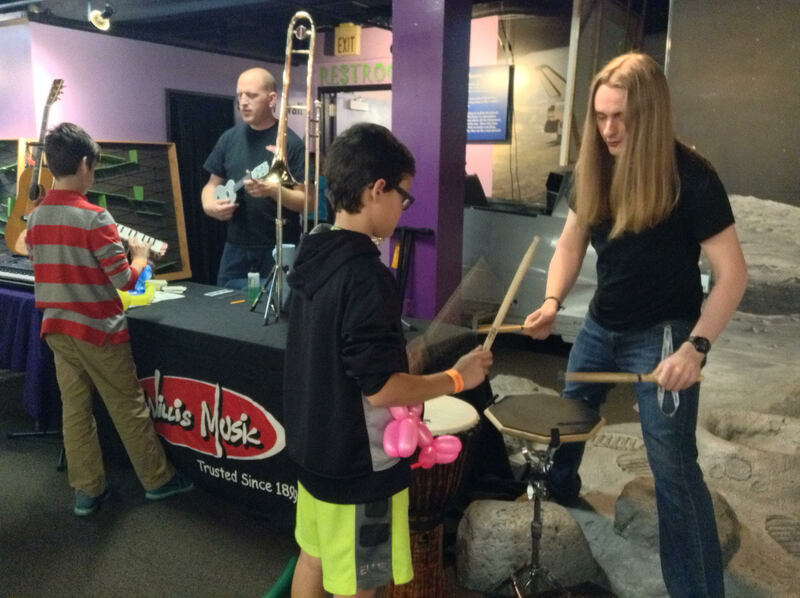 We will be providing instruction on auxilary and mallet percussion instruments – perfect for any child playing at their school in grades 5-8 in the Lexington area! To pre-register for this workshop you can stop by the Lexington Willis Music location, send us an email, or give us a call at 859-273-4063. We look forward to seeing you on February 13! Be sure to bring your own mallets/drumsticks and practice pad! Workshop participants will also receive a special discount for the day of the workshop on drumsets, cymbals, and more! Have you always wanted to learn the guitar? Did you receive a guitar for Christmas and it’s starting to collect dust? Here is how you can get a jump-start on one of the most popular instruments in history! On Saturday, March 19, 2016, Willis Music in Lexington, KY will host a two-hour Guitar Workshop for beginners! The workshop will made given by Brent Larimore. A great music educator in the Lexington area! 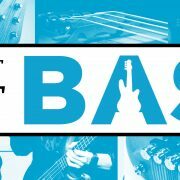 Come learn basic technique, picking and strumming styles, chords, a popular 12 Bar Blues progression, plus an easy scale for soloing! Each participant will receive a booklet to take home with you. The cost for this two-hour workshop is $20. (A normal 30-minute guitar lesson would cost at least $20!) To pre-register for this workshop you can stop by the Lexington Willis Music location, send us an email, or give us a call at 859-273-4063. We look forward to seeing you on March 19! Be sure to bring your own guitar (sorry no amps this time!). 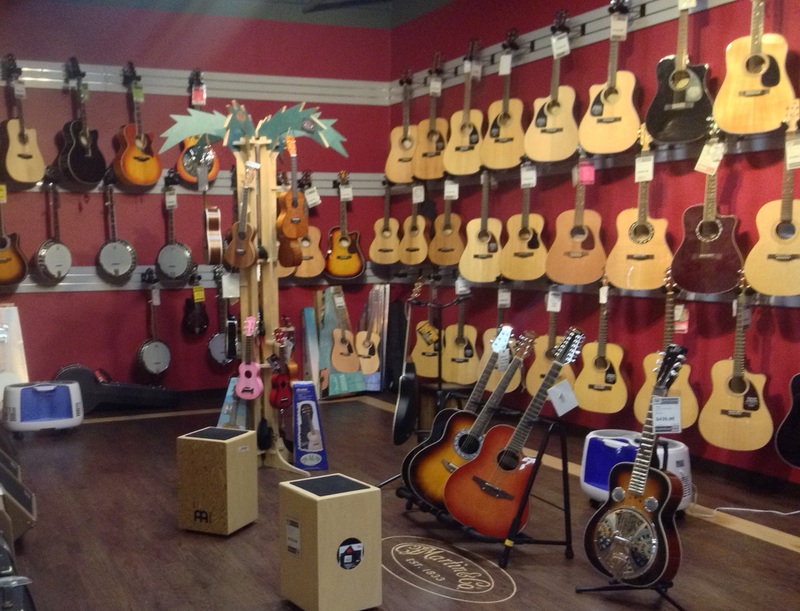 If you do not have a guitar, come see our awesome sales staff at the Lexington Willis Music store location and they will be glad to help you find the perfect guitar for you! 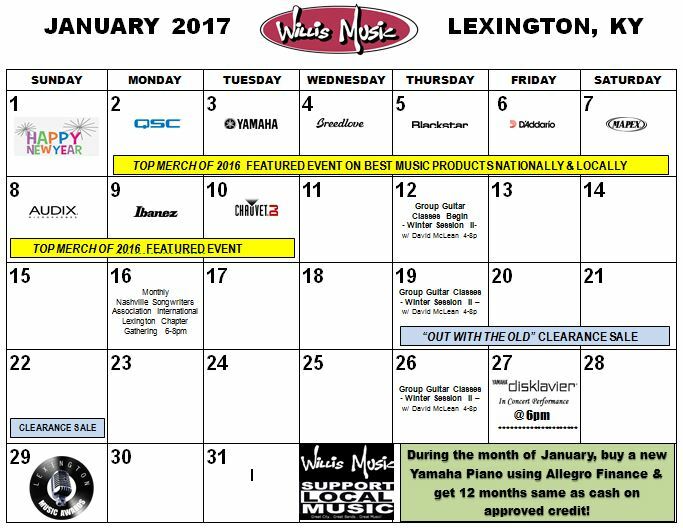 See What’s Happening in February at Willis Music in Lexington, KY! Free Drum Workshop on February 13 by our staff from 4-5pm. Lexington Live (our Open Mic experience!) is on Febuary 20! CELEBRATE THE NEW YEAR WITH US AT WILLIS MUSIC IN LEXINGTON, KY! We have a bunch of exciting things happening at Willis Music in 2016! So many that we are holding in some of those until you arrive in our Lexington store. Get Free Registration ($25 value) by signing up for Private Lessons in store on January 2. Save $$$ on a new guitar, during our annual January Martin Guitar Sale Event from January 4-10. Learn to play guitar at our Workshop for Beginners on January 10. Experience performing on our stage (FREE EVENT) at Lexington Live on January 16. Discover something new at our Percussion Sale Event January 23-25. 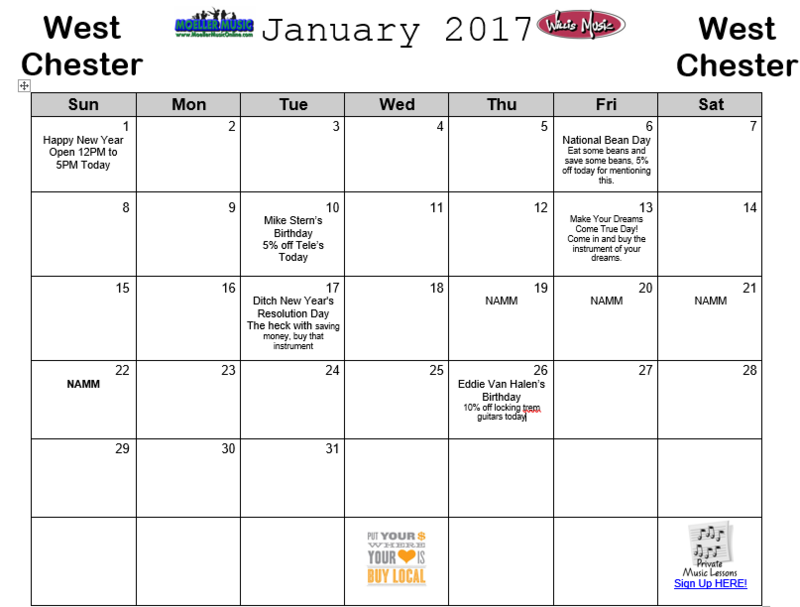 Click on the calendar below to see all of our events and sales taking place in January! 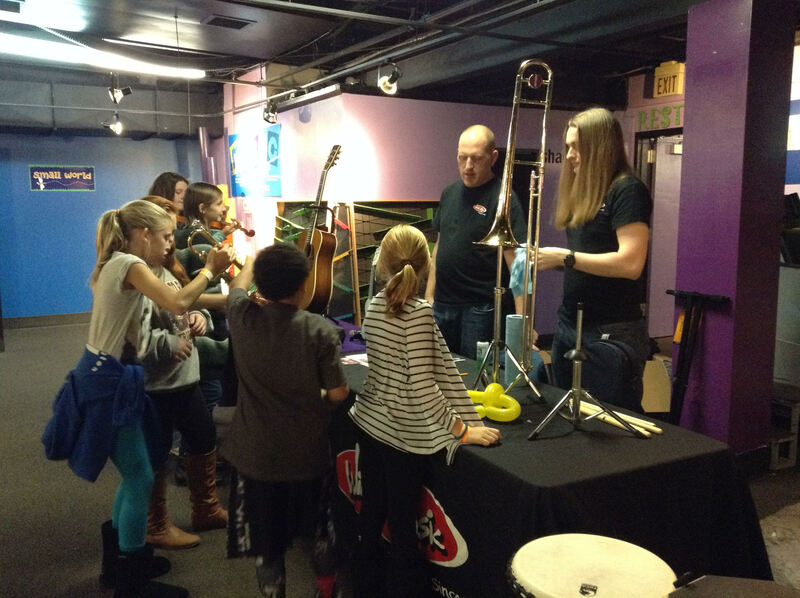 On November 14, 2015 part of our staff at the Willis Music Lexington location, packed up several instruments and took them to the Explorium in downtown Lexington. The city’s children museum hosted a Tween Night for about 100 children. 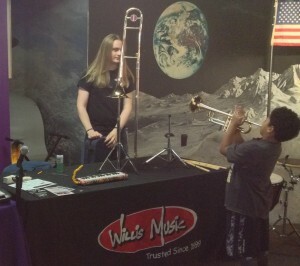 As part of the event, Willis Music created an instrument petting zoo! This was a great event to promote music education to the children of Lexington. We also used this evening to promote our music lesson program to everyone in attendance. 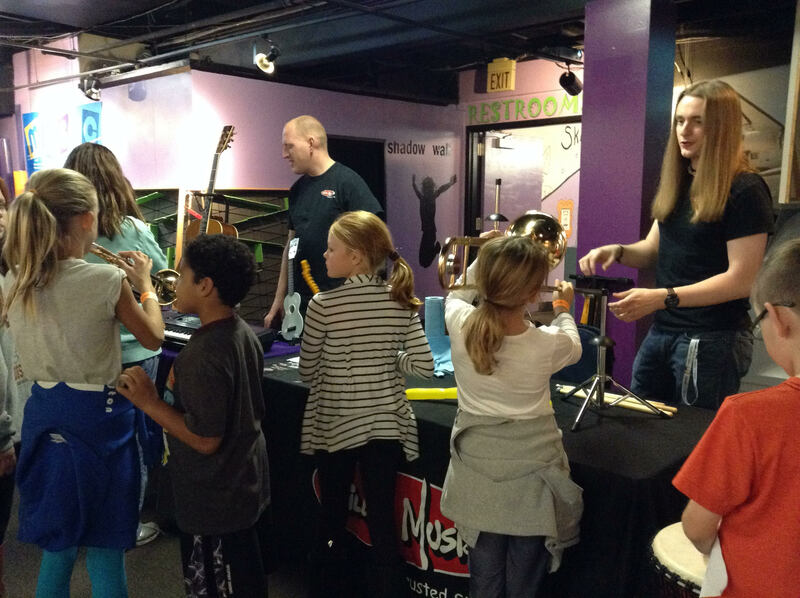 We provided violins, trumpets, trombones, a guitar, ukulele, keyboard, djembe, a drum pad, and a melodica! 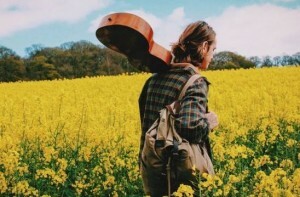 Are you wanting to purchase an acoustic guitar? How about an electric guitar? An amp? Or your first effects pedal? 1. All guitars are Detailed and Inspected. 2. All guitars necks are Inspected and Adjusted by our guitar product specialists. 3. All guitar frets are Inspected and Polished by our guitar product specialists. This is a $119 Value that is INCLUDED for Free with your Guitar purchase at Willis Music! ** The First Time Buyer’s Guitar Care Class takes places on the First Saturday of every month at 10:30 A.M. EST. Classes are conducted by our guitar product specialists.